Did you mail your letters here? It is built with native material (mud, cottonwood, sod). It is an example of the resourceful spirit of turn-of-the-century pioneers who lived here. Now, its owned by the McKenzie County Historical Society and is listed on the National Register of Historic Places. A log adobe-covered building with a sod roof built in 1912. Served as a post office from 1913 to 1962. When it’s open, you can get in for free. It houses antiques and relics from the 1800s and 1900s. The post office museum and the nearby park help to make Grassy Butte a nice rest stop between Belfield and Watford City. There’s not much left of Grassy Butte. Population is less than 100. It used to have a newspaper, a bank, a general store, lumber yard, and amusement hall. Newspapers predicted in the early 1900s that Grassy Butte was to become one of the most thriving cities in McKenzie County. On a frigid winter day a sense of warmth shines from the welcoming doors of this little country church in Grassy Butte, North Dakota at sunset. It’s trimmed down since the heyday 100 years ago. So, just the essentials are here: a community center, a convenience store, a bar and a couple of oil field businesses. An old church building has been remodeled as a home. Highway 85 buzzes past the east side of town. The main route used to go down the main street, now it’s east of town. The social community is tight. That’s why you’ll see many families who turn out for family activities at the community center or at the park. The annual Easter Egg hunt is a high-energy moment of laughter and fun. North of the Highway 85/200 intersection is a long-standing sign — showing its age. Use Grassy Butte as a stopping off point before heading west on County Road 50. Follow the signs to get to Beicegel Campground, or to the Maah Daah Hey trail. When your exploration is over, ice cream is at the general store, and a cold beverage waits for you at the Grassy Butte Bar. This week, look for a couple of suggestions for outdoor explorations — especially the one on Summit Trail and the crocuses. Sign up to get a notice in your inbox when a new story is published. And you’ll get a free subscription to our twice-a-month newsletter. 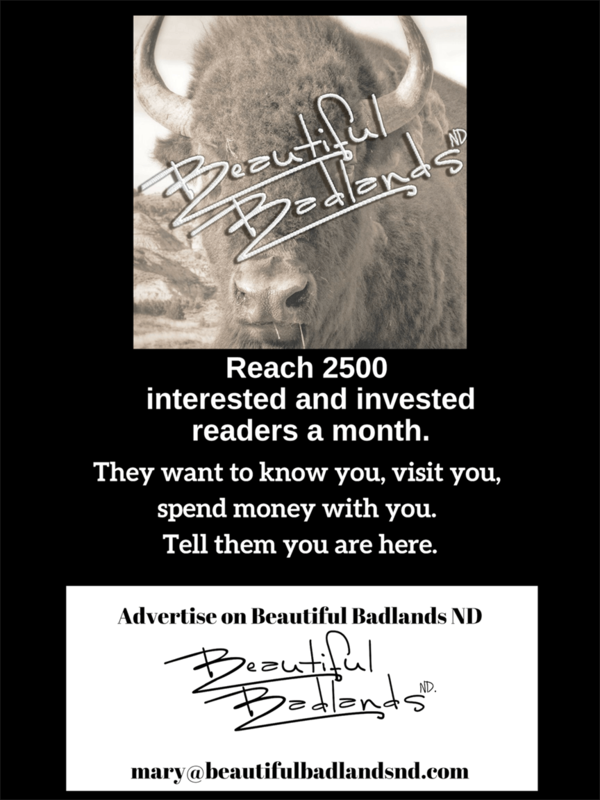 If you follow us on Facebook, you’ll get daily insight, stories and ideas from all the Beautiful Badlands ND partners.